Primer Magazine is recognizing a different individual for their accomplishments, cultural significance, and general awesomeness. This month: General Joshua Lawrence Chamberlain. 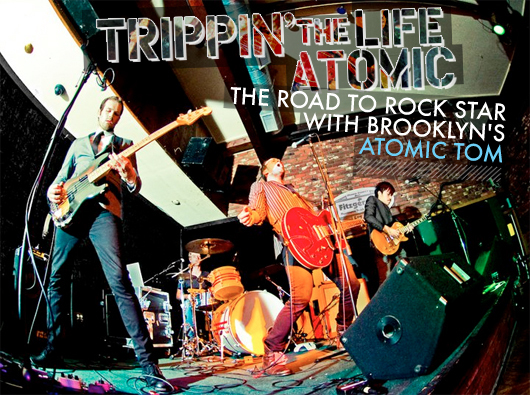 Primer writer Kevin H. MacLean followed Brooklyn band Atomic Tom this summer to get a taste of the rock star lifestyle. What he got was one hell of a noisy wake up call (in a good way). You may recognize him as Lawrence of Arabia, but the real life man is closer to another film icon. T.E. Lawrence is probably the closest you could ever get to finding the real life Indiana Jones. Every month Primer Magazine is recognizing a different individual for their accomplishments, cultural significance, and general awesomeness. This month: King Hussein of Jordan. For the avid fan, or the usually uninterested, we've got everything you need to know to survive the world's biggest sporting event: the 2010 FIFA World Cup. Every month Primer is recognizing a different individual for their accomplishments, cultural significance, and general awesomeness. This month: Jim Thorpe. Every month Primer is recognizing a different individual for their accomplishments, cultural significance, and general awesomeness. This month: Major Richard Winters. Every month Primer Magazine is recognizing a different individual for their accomplishments, cultural significance, and general awesomeness. This month: Lenny Bruce.